#2 candidate on Kulanu list advocates evicting Judea-Samaria residents who live outside major settlement blocs, for 'Zionist' reasons. Kulanu candidate Major General (ret.) 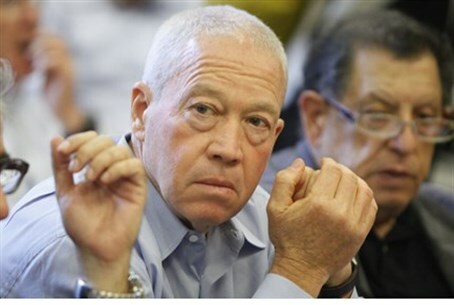 Yoav Galant stated Tuesday that he believes in evicting residents of Judea and Samaria from their homes, claiming that constructing Jewish communities in Arab areas contravenes Zionist ideals. "We have to recognize what Zionism knew from the first day of its inception - and that is that the Zionist movement established a state with the Palestinians next to us, and they're not going anywhere," he said, speaking at Jerusalem's Ein Karem neighborhood. Galant added that, with that, it is dangerous for the Palestinians to have an army, and that if a Palestinian state were established, it should be demilitarized. "There is no logic in settling amongst densely populated Palestinian areas - this is an error in my eyes," he added. "We must give the Palestinians a contiguous territory that will enable them to live their lives as an independent entity, while continuing our settlement construction in the large settlement blocs." Galant emphasized that he does not believe in a Palestinian 'right of return' and that Jerusalem should remain united and under Israeli sovereignty. This is not the first time Galant has expressed support for limited land swaps. Last month, he stated during a speech at Hadassah Academic College in Jerusalem that withdrawals outside major settlement blocs are crucial. "We are approaching a state of eight million Palestinians west of the Jordan River," he said at the time. "The right thing is to know how to maintain the most central parts of Israel and be willing to swap away other places - not because we don't love them; I know the Samaria (Shomron) hills well, for example, and I've been there." "Our goal is to reach an agreement with the Palestinians and consensus can only come from a reality in which citizens of Israel have more security, not less security," he added. Galant also addressed the housing crisis, the major party platform point for Kulanu. "The situation today, where a person who has little subsidizes those who have much, is unacceptable," Galant said. "We did not establish a state in order to reach this reality." Galant, the former chief of the IDF's Southern Command, noted that while his life has revolved thus far around security, he chose to join the party for its socioeconomic platform. In his view, national strength is not only a matter of physical security, but also financial security - as well as a sense of social justice. "The banks have earned 40 billion over the past year, but young people are leaving the country because they have no ability to pay for housing," he noted.